Built in the 1940s, these original resort accommodations are historically charming and comfortably modern. They have attracted families and friends for decades with their simplicity and outdoor environments. 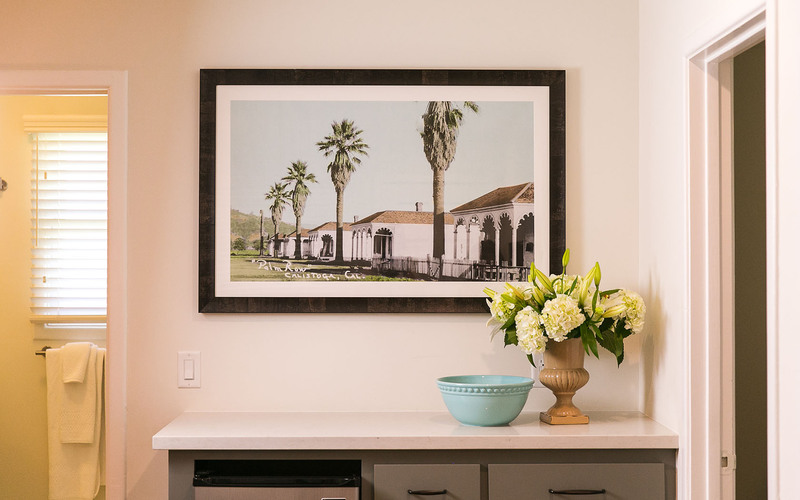 Duplex studio and two-bedroom units are surrounded by palm and olive trees, roses and lavender. Each duplex cottage features indoor and outdoor living spaces. Perhaps most alluring are the porches, where guests can be found sipping morning coffee and nightly cocktails, greeting each other as resort life unfolds around them. It’s an Indian Springs Calistoga tradition. 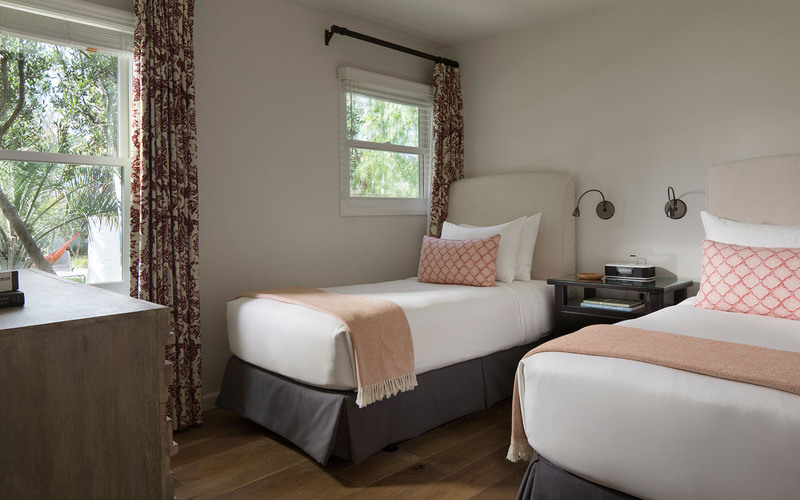 Our classic rooms and original accommodations, these cottages feature two bedrooms each with a queen size bed. A living room to gather in and a front porch to sit and enjoy the activity of the resort. 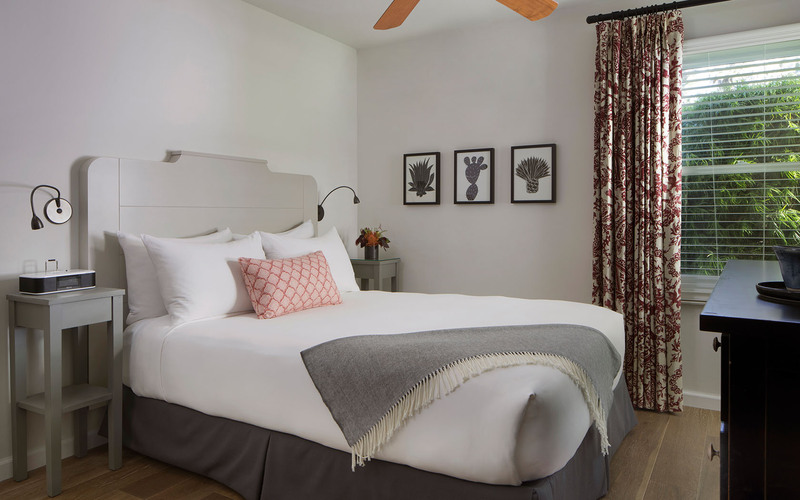 Our classic rooms and original accommodations, these cottages feature two bedrooms, one with a queen size bed and the other with two twin beds. 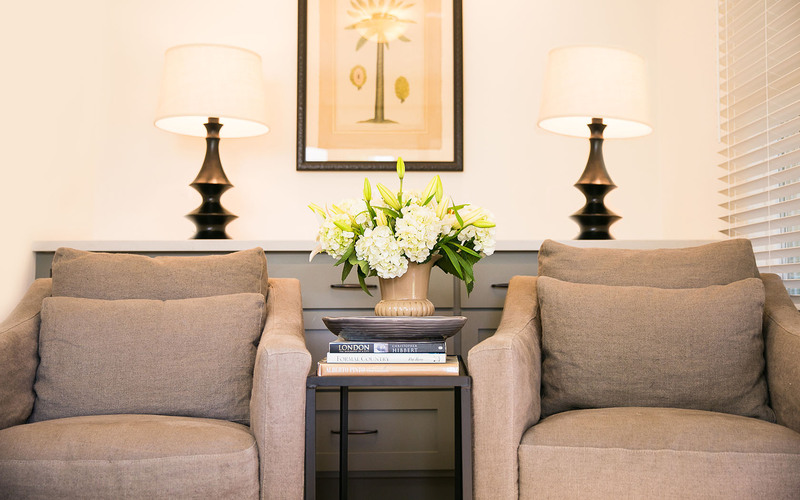 A living room to gather in and a front porch to sit and enjoy the activity of the resort. Our classic, original rooms have been updated to accommodate families. 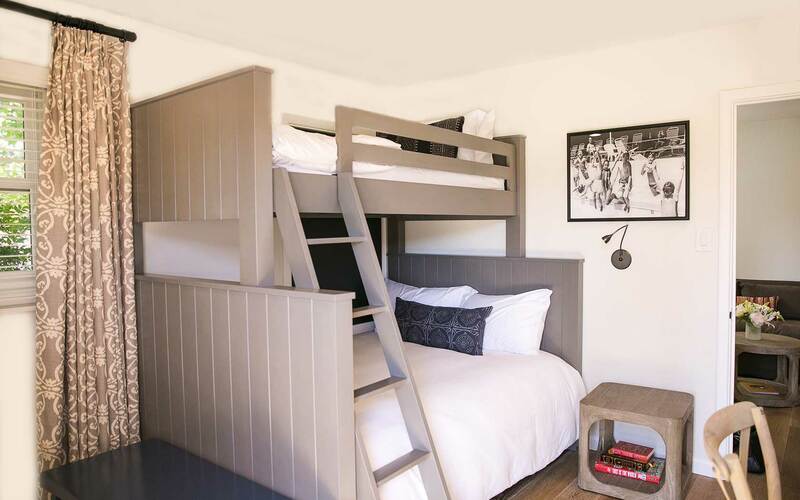 These cottages feature two bedrooms, one with a queen size bed and the other with bunk bed (full on bottom, twin on top). The living room and front porch are great for gathering. 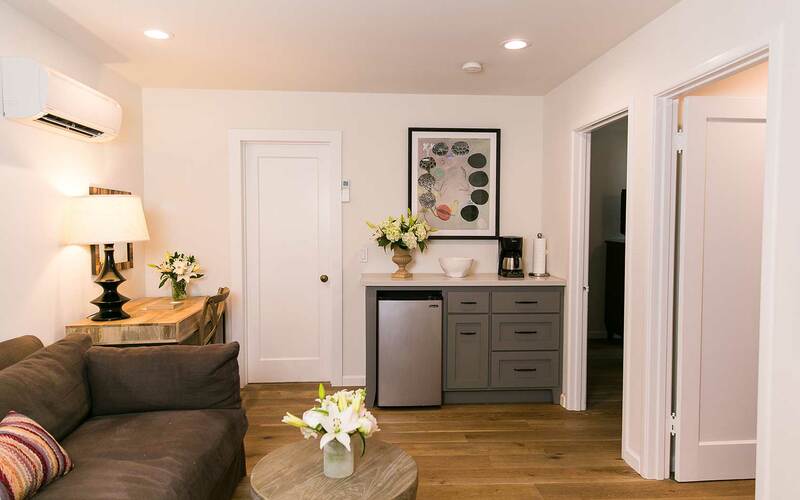 Charming studio space with front and back porches, Sam’s Cottage is a cozy duplex studio with one Queen bed and a small sitting room to relax in. Home away from home!